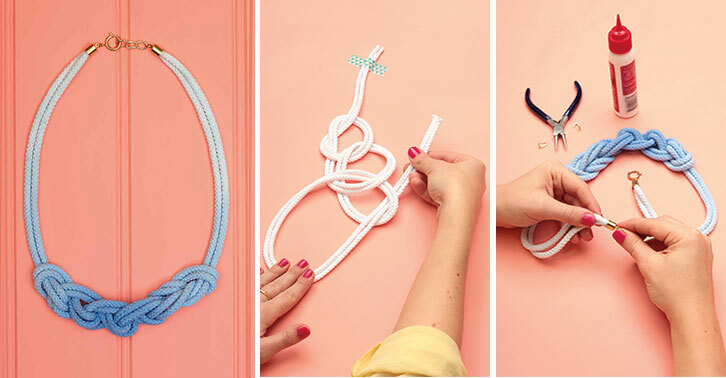 The shops are full of braided ombre jewellery right now but don’t fork out to buy some… make your very own rope necklace! 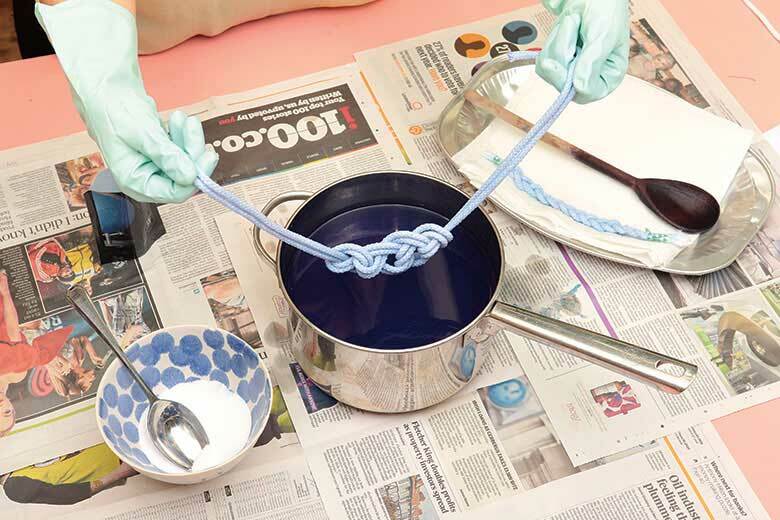 Find out the braiding basics and top dyeing techniques to give your jewellery that professional look with Home Editor Emily’s easy-to-follow instructions. 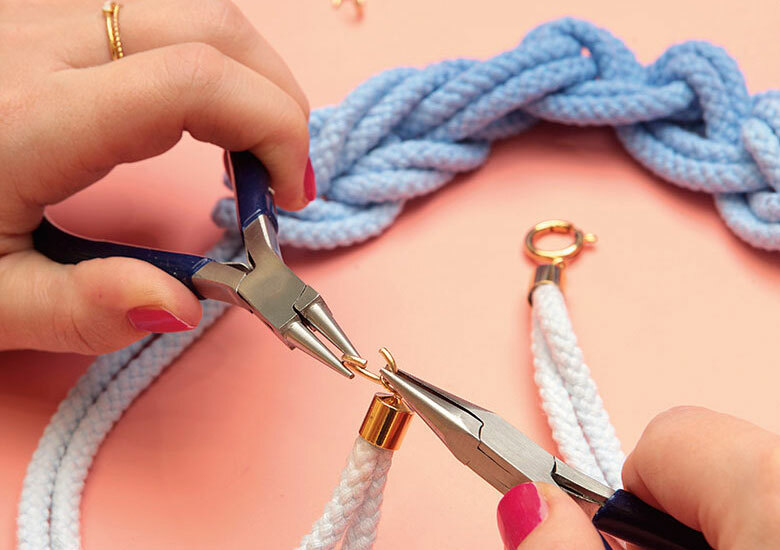 To braid the rope necklace, watch Home Editor Emily demonstrate the looping and threading techniques in this video. Start by taping one end of the two lengths of rope on to a flat surface, side by side, and then begin looping 20cm down from the tape. Repeat Emily’s braiding technique until you have created five knotted loops. 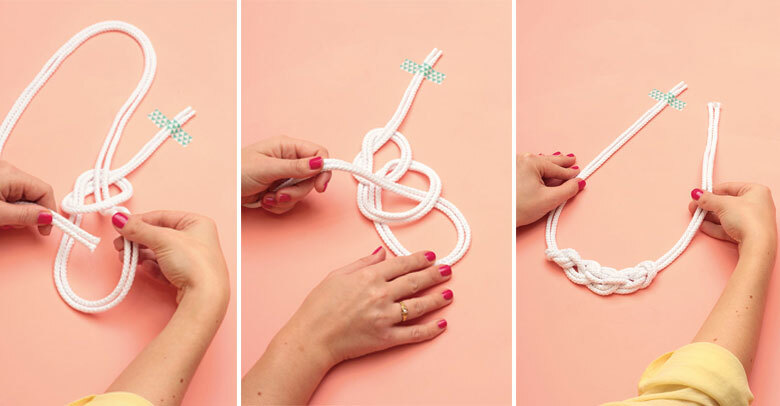 You’re now ready to add the ombre dye effect to your rope necklace. Always remember to follow the manufacturers instructions of your chosen dye. If you’re using Dylon, like us, then simply follow Emily’s instructions by filling a stainless steel pan with hot water, some salt and a sprinkling of dye. Graduate the colour on the braided necklace by adding dye and dipping the necklace until the darkest shade of dye is at the lowest point. Add the finishing touches to the rope necklace by applying a little Tacky Glue, pressing the ropes into a point and then inserting the ends into a barrel end cap. Using two pairs of pliers, open one small oval jump ring and attach to one of the barrel end caps. Add a round bolt clasp, then close the jump ring. On the other end, add one small oval jump ring, then three large jump rings.